TASCAM has released a new free app for iOS, TASCAM PCM Recorder, that is a free stereo recorder for iOS devices. It works on iPhone, iPod touch and iPad. PCM Recorder supports up to 12 hours of recording, using the built-in microphone or connected USB devices like the TASCAM iM2 stereo microphone. Other features include EQ, limiting, Soundcloud support and more. 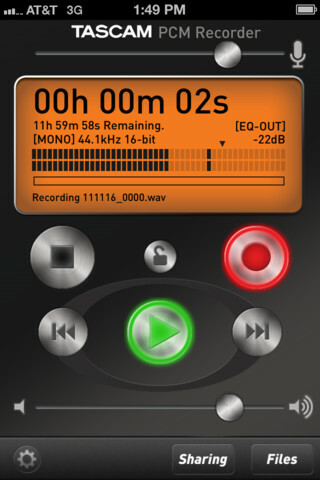 PCM Recorder is a free download via the App Store. My mission is complete looks pretty good, just started following you .-= Karen is hoping you stop by and read Show Your Support for Blazing Minds With a Twibbon =-.